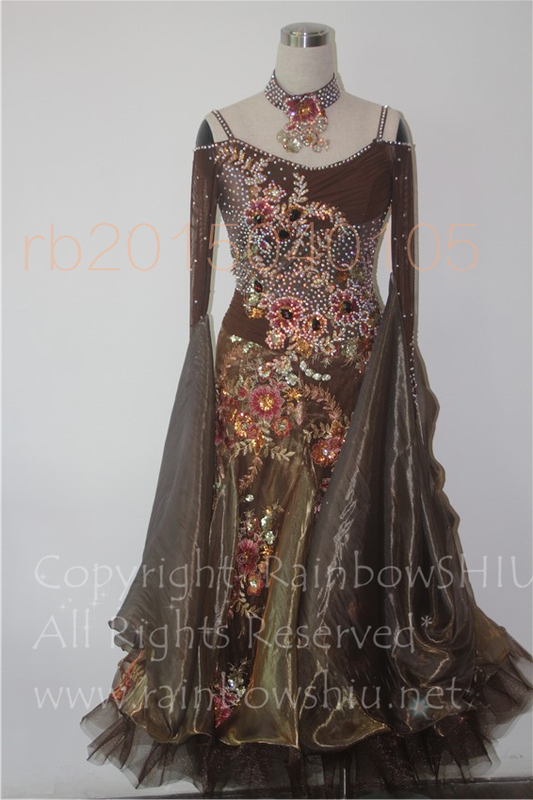 TOP: Brown Mesh over brown Lycra Fabric. 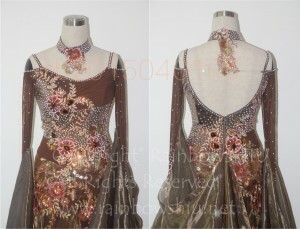 Brown appliqués front layer. 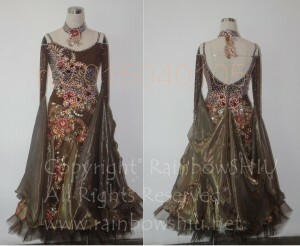 Mesh sleeve with Brown Organza Float. Skirt: 3 layers. 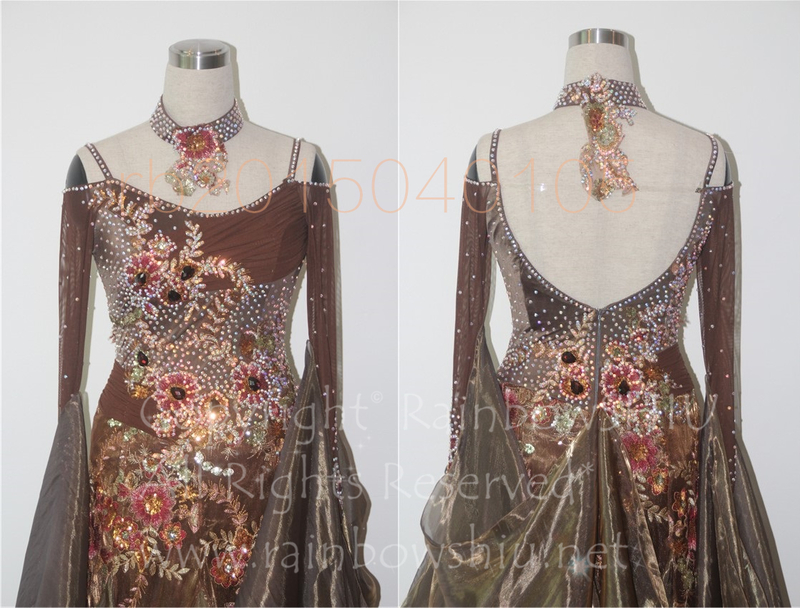 Front layer: Brown embroidery with Organza fabric; Bottom layer: Brown Satin fabric. Stones: 40 grosses AB Middle East stones with Big Red stones.